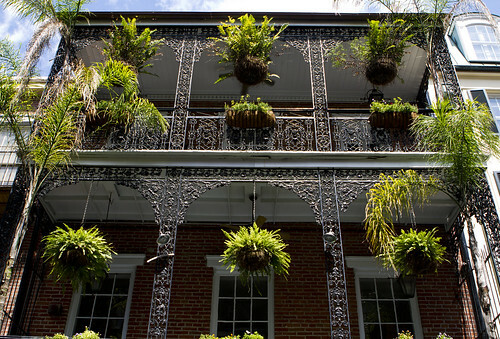 Architecture of the French Quarter, a photo by Ricky L. Jones Photography on Flickr. Some of the gorgeous architecture of the French Quarter. Much of the French Quarter architecture comes for the 19th century and is of French and Spanish design. Much of the Quarter long-term residents were driven away by rising rents as property values rose dramatically with expectations of windfalls from the planned 1984 World's Fair nearby.